This semester I am teaching a 4th year class on Apologetics, in which we work through what a worldview is, how it affects our beliefs and behavior, and how to be more aware of our own and others worldviews as we engage in sharing the gospel. One of the most interesting parts of this class is finding clear examples of unbiblical worldviews for us to interact with to be able to better understand the worldview issues that we find all around us. Last week we were afforded a unique opportunity to get up close and personal with a very prevalent unbiblical worldview when we attended the Healing Jesus Campaign which had come to town for the weekend. Evangelist Dag Heward-Mills is a London-born Ghanaian pastor who leads Lighthouse Chapel International, which has what is claimed to be the largest church campus in Ghana, along with 2,833 other locations in 84 countries. He explicitly teaches a health and wealth prosperity gospel (although his website makes great efforts to make his ministry seem doctrinally sound), and claims to be able to work miracles and offer deliverance from all sorts of demonic activities. His campaign travels around Africa every year, and his website www.daghewardmills.org states that he has held 168 campaigns in 20 countries, and that he has won a total of 10,872,343 souls! (For those of you who are wondering, that is an average of more than 64,000 salvations per weekend campaign!) So last Friday night four students from our Apologetics class and myself joined 4-5 thousand others in attending the service, hoping to be able to better understand the worldview from which he operates, and the kind of influence he has upon the vast crowds that he gathers. 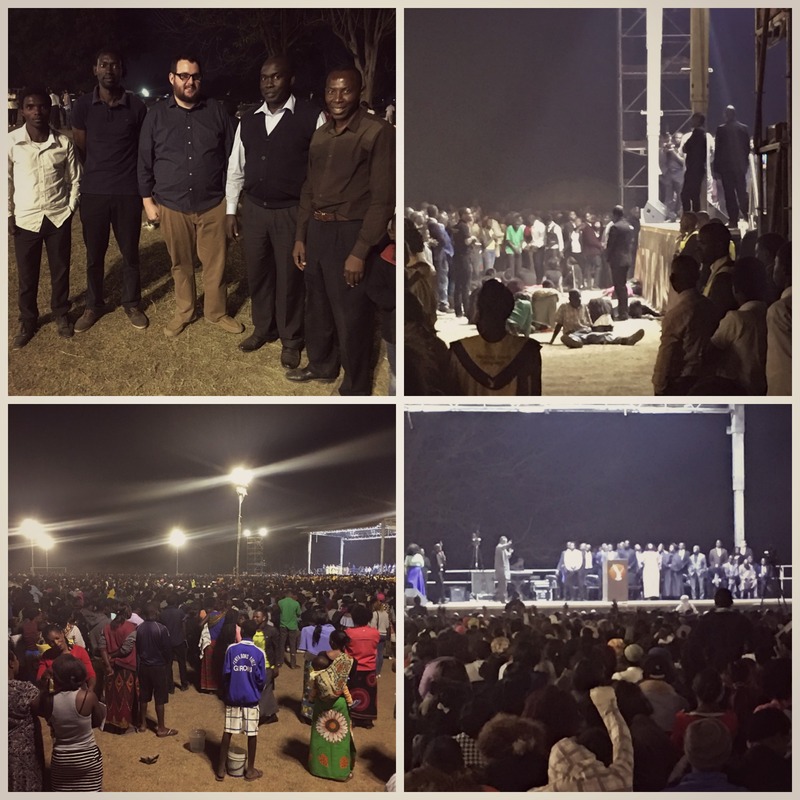 After his message Evangelist Dag then led in a prayer service followed by miracles. He asked people if they wanted forgiveness from the sins which Satan has made you commit. He then proceeded to lead the entire assembled crowd in a prayer repentance and acceptance of salvation (this seems to be where his numbers of souls saved comes from). After this he instructed us to raise our finger and begin talking to Satan. We were commanded to bind him and declare our freedom from him. He told us to lay our own hands on our heads and he began to pray for us, casting out demons. Snake spirits, cobra spirits, wicked demon powers, kangaroo spirits, rhinoceros spirits, every animal spirit, I command you to come out! He then moved on to healing. Place your hand on whatever is wrong or doesnt work. He then began praying in tongues, after which he said, Whatever you couldnt do before, check yourself, youve been healed! Someone is supposed to die soon, but you are being healed. People streamed to the front to receive healing from him, and many fell down shaking as he cast out the demons. The last part of the service was a testimony time for those who had been healed to share their miracles, and it started with a bang. The first lady to come up claimed to have come the night before straight from the hospital where she left her small nephew dying. But, according to Evangelist Dag, he had been raised from the dead! (There was quite a bit of confusion on stage about this, with some claiming that he had died, and some that he had not. Those who understood the Bemba of the ladys testimony said she never actually claimed that the boy had died). Next was a case of a young boy healed of severe epilepsy. Evangelist Dag, whose website says that he holds an MD and occasionally practices medicine at his ministry hospital in Ghana, actually concluded from this, We know that every case of epilepsy is always demon possession! There were also reports of deaf now hearing and cancer being healed. On the way home, we discussed what we saw and heard. One student commented that his message demonstrated plenty of Bible knowledge but no sound theology or exposition of the text. He observed, His preaching and praying was all about creating fear of demonic possession and Satanic influence, which he then offered himself as the solution through the power that he had. Another one noted the explicitly African worldview of the spirit world in his casting out of animal spirits. We all discussed the easy-believism which called for everyone to an emotional response to the prayers but no changed life or meaningful follow-up or commitment (he left town two days later, after all), and then counted us all as decisions for Christ. It is likely that many of the same people attended every night of the campaign and got saved again each night. Undoubtedly this was an eye opening and helpful exercise for the class as we seek to understand worldview and how it affects the lives and beliefs of the people all around us. But more importantly it gave us all a greater sense of the need and urgency of proclaiming the true life-changing gospel message. Most of the people there at the campaign would likely call themselves Christians, yet the faith they have seems not to be rooted in Christ at all, but is much more focused on fear of the spirit world and the search for a powerful man of God to deliver them from the spirit forces that cause all their problems. It was a sobering and powerful reminder of the task that still lies before us, even in this Christian nation, as we train and equip men and women for true gospel witness, and call all around us into true freedom that only comes from a relationship with Christ! You are invited to attend the 14th annual Leadership Conference at Central Africa Baptist College & Seminary being held in Kitwe, Zambia from 27 November – 1 December 2017. 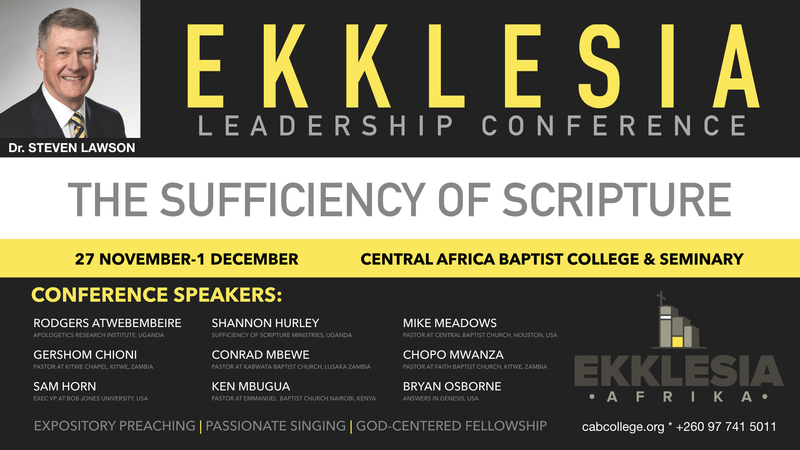 This year we are rebranding our annual Leadership Conference as the Ekklesia Leadership Conference. 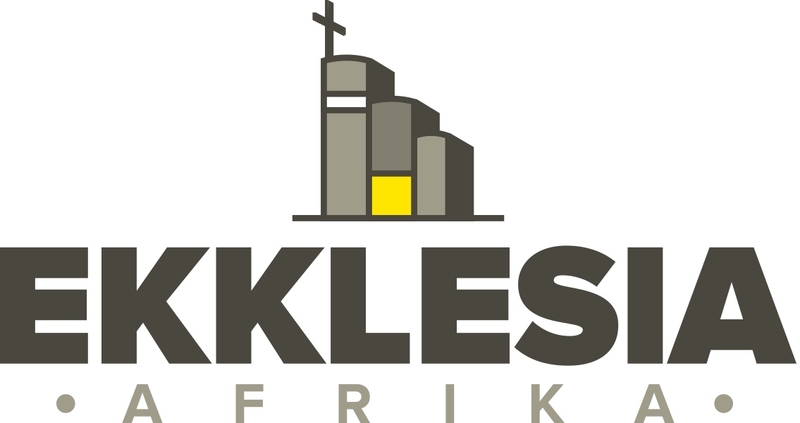 Ekklesia is a Greek word translated “church” in the New Testament. Conference Theme: The Sufficiency of Scripture. It has been 500 years since Martin Luther defiantly nailed a copy of his 95 Theses to the door of the Wittenberg Castle Church (October 31, 1517). This shot heard around the world launched an offensive for the sufficiency of Scripture. The Sufficiency of Scripture is the theme of our Conference this year. This Conference is for every Christian who wants to grow in faith and be equipped to serve Christ and His church! 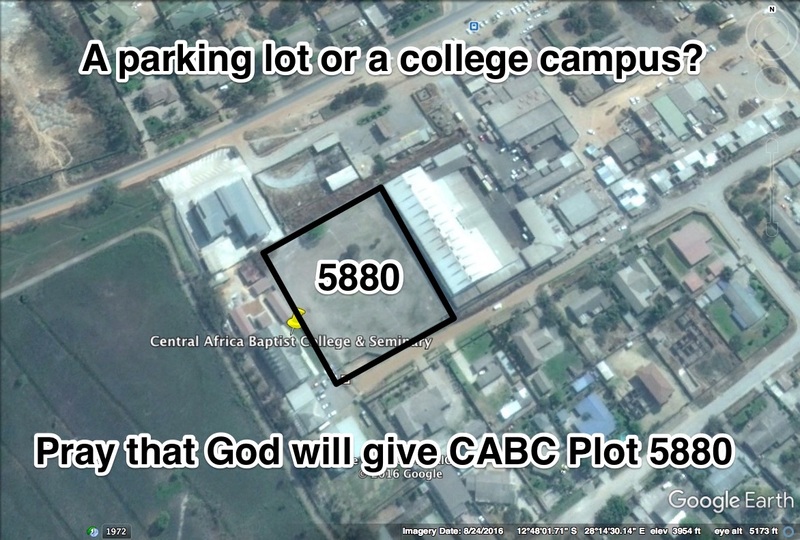 Our desire is to see a reproduction of healthy churches across Africa through planting and revitalization. We long to help churches that have embraced a biblical vision for God’s people and have a gospel centered philosophy of ministry for the joy of all peoples and the glory of our God. 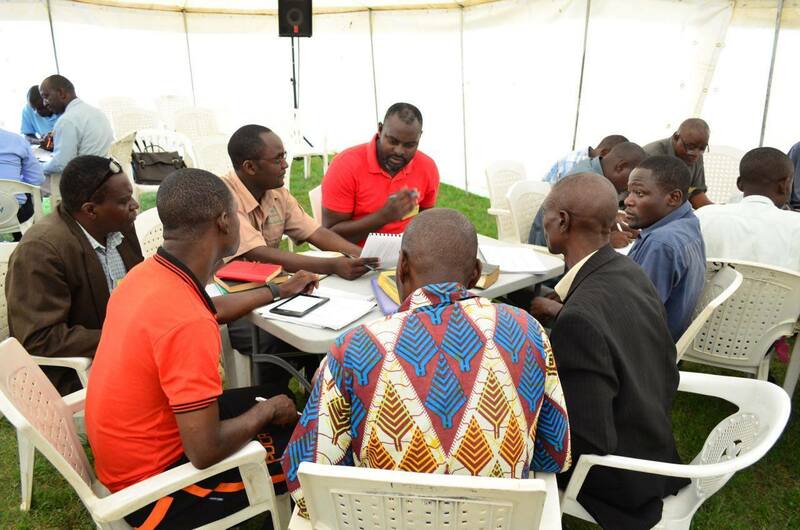 Our desire is to encourage healthy, reproducing churches across Africa by equipping the church through biblical & theological training, by providing resources and by encouraging local networks of like-minded pastors for the advance of Christs church in Africa. Spiritual Growth & Ministry Track: All Christians are invited to enroll in this track. Great care is taken to equip saints for the work of ministry in the local church. Expository Preaching Track: All men who are pastors (Elders) are invited to enroll in the Expository Preaching Track entitled – The Sufficiency of Scripture in Preaching. Lecturers for the pastor’s class will be Dr. Steven Lawson & Dr. Sam Horn. All men who serve as pastors (elders) are welcome to enroll for this class. Chaplains Track: All military, police, prison and civilian chaplains are invited to attend the class – The Dual Role of the Chaplain. The lecturer for this class will be US Coast Guard Command Master Chief (Ret.) Tim Murdoch. DATE OF CONFERENCE:27 Nov. to 1 Dec. 2017. Registration tables open at 10:00 on Monday, November 27th for those who have pre-registered and pre-paid. Registration tables open at 12:00 for those who have not pre-registered and not pre-paid the conference fees. REGISTRATION FEE: K100 registration fee per person. (No discounts available). Note: Late coming registrations will not be accepted after 10hrs on Wednesday, 29th November. This will be the last year we can offer Leadership Registration at this discounted rate. Registration fee in 2018 will be k200 per person. THERE ARE 140 BED SPACES AVAILABLE AT NO COST FOR OUT OF TOWN GUESTS. These will be given on a first-come-first-served basis to out of town guests who register and pre-pay the k100 registration fee. Boarders must bring their own bedding & toiletries. We cannot accommodate couples staying together and strictly no boarding children under the age of 16yrs old. There are additional 65 bed spaces available off-campus at a minimal fee of K25 per person, per night. (Total Due k100 for 4 nights, includes evening meals Monday – Thursday night). Reservations for this discounted lodging will only be confirmed upon non-refundable pre-payment of boarding fee k100. Boarders must bring their own bedding & toiletries. We cannot accommodate couples staying together and strictly no boarding children under the age of 16yrs old. All other attendees not accommodated in the above will be responsible for their own lodging. We can provide out of town guests with information for lodges in the area that have agreed to offer discounted rates to Conference attendees. Due to the increased attendance at Leadership Conference, this year attendees must Register and Pre-Pay the Conference Registration Fee of k100 to secure the free bed space or the Discounted Boarding fee of k100. (See above for explanation). 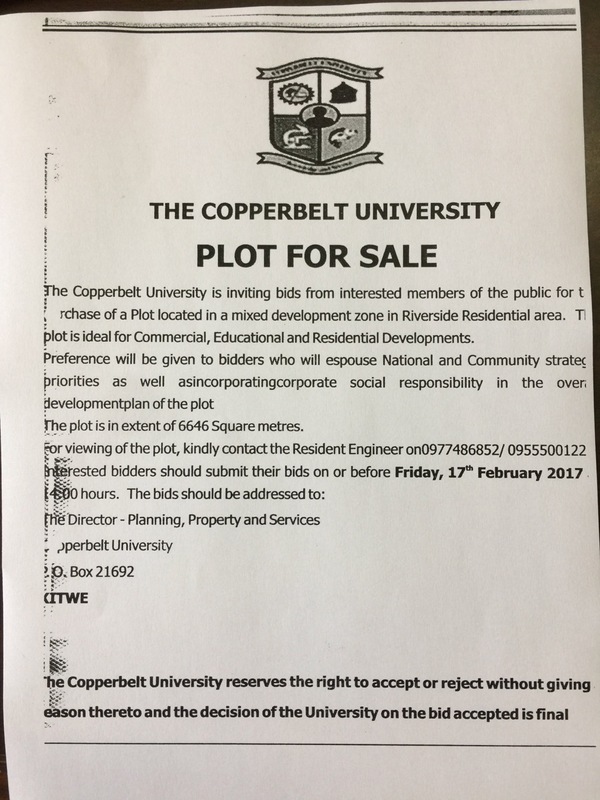 Please include the name of the CABC Representative: Kangwa Mulenga. Note: Transfer charges are the responsibility of the sender. Please forward to us a copy of your deposit slip via text, WhatsApp or email.